Is Starting A Real Estate Investment LLC In Your Future? It should go without saying, but any attempt at starting a real estate investment LLC should be met with the utmost diligence. Consult a legal professional before structuring your business entity, as to make sure everything is in place and that everything is handled accordingly. However, for those of you looking to get the ball rolling, here are some of the reasons you may want to consider starting a real estate investment LLC. Starting a real estate investment LLC is the first step towards becoming a successful business owner, and something aspiring investors must consider if they are to be taken seriously. If for nothing else, structuring your business behind the protection of an LLC is the surest way to protect yourself from the unknown. But I digress. LLCs aren’t the only form of protection real estate investors are awarded when they set out on their journey; there are a number legal entities vying for position. It’s worth noting, however, that as a real estate investor, LLCs offer some great advantages. And while that’s not to say it may be your best option, they are at least worth taking a look at. Let’s take a closer look at two of the most important reasons real estate investors intent on starting their own business should — at the very least — consider starting a real estate investment LLC. Is Starting A Real Estate Investment LLC In Your Best Interest? There is one reason — perhaps more so than any other — for real estate investors to consider structuring their business under an LLC: these nifty little business structures limit personal liability. If for nothing else, LLCs offer patrons the unique ability to separate their personal assets from their business assets — a safety net that can’t be underestimated. The owner’s risk exposure is essentially limited by the protection awarded by the LLC. Let me explain. Consider a situation in which an investor is intent on earning passive income through the prospect of becoming a landlord. In doing so, they buy a rental property and introduce a tenant as soon as they can, because that’s what you do as a landlord. It’s entirely possible everything goes according to plan, and the investor doesn’t experience any setbacks, but we all know that’s not always the case. In the unfortunate event that said tenant is injured on the property because of unsafe conditions, today’s legal climate would make it rather easy for them to pursue a lawsuit against the individual that owns the property. It’s worth noting that if the subject property were owned individually by the investor in this scenario, he or she would be named on the lawsuit brought against them by the injured tenant. As a result, the landlord would be forced to defend their personal assets because they were none other than the owner of the property in which the injury occurred. But what if I told you the property didn’t have to be owned by an individual, but rather an individual company could assume the responsibility? Coincidently, that’s not far from how LLCs operate. “If that property were owned by an LLC, the owner’s risk exposure would be insulated by the protection of the company, leaving only the assets owned by the LLC (as opposed to all of the owner’s personal assets) exposed to potential lawsuits,” according to Legalzoom. If the prospect of insulating your personal assets from malicious lawsuits wasn’t enough to make you consider starting a real estate investment LLC, consider this: LLCs award owners unique tax benefits that can rival even those that limit personal liability. 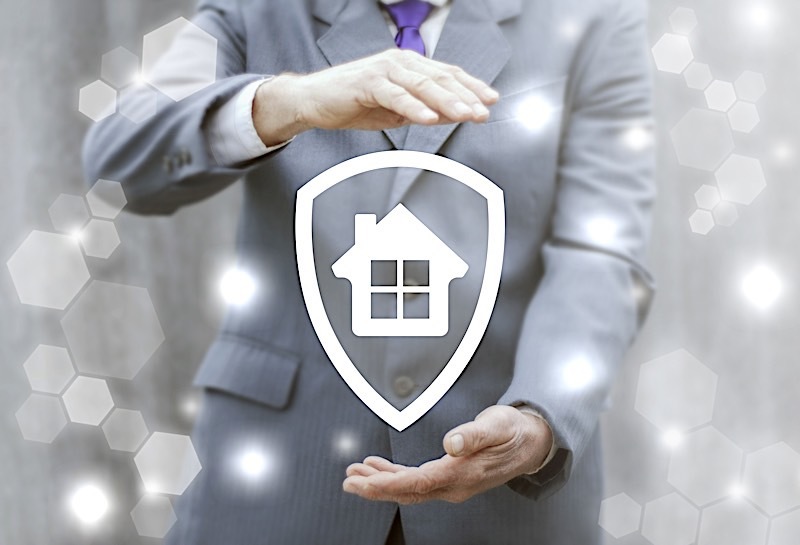 Otherwise known as pass-through taxation, this particular benefit of starting a real estate investment LLC allows real estate investors to partake in the obvious liability shield while simultaneously avoiding being taxed on two fronts; it’s actually quite amazing. Let me explain. The Internal Revenue Service (IRS) has made a point of classifying real estate holding companies — owned by a single individual — in the same way they would a sole proprietorship: as a “disregarded entity.” Consequently, both income and capital gains brought in from the LLC “pass through” to the owner. It’s also worth noting that the owner only has to pay taxes as an individual — all while enjoying the benefits of the same limited liability I discussed in the first part of this article. And therein lies one of the most important advantages of starting a real estate investment LLC. Though inherently different, multimember LLCs can partake in the same benefits of pass-through taxation, but not without some subtle differences. Consult a tax professional for more information pertaining to pass-through taxation rules and regulations for multimeter LLCs. Starting a real estate investment LLC is a great option for any investor. Not only will the legal entity protect your personal assets, but it coincides with great tax benefits not made available to everyone else. If you are wondering whether or not starting a real estate LLC is in your future, don’t take the benefits they offer lightly; they could be the best thing to ever happen to your business.